How bad is the current recession? 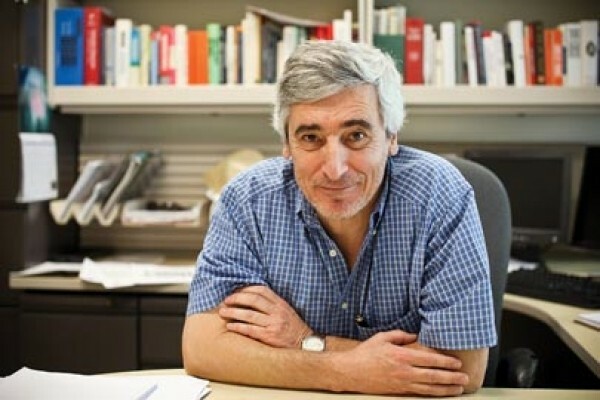 University of Utah professor Cihan Bilginsoy has been teaching macroeconomics for 25 years, and for the past three years, has taught “Manias, Panics and Crashes.” Bilginsoy discussed current manias and crashes with City Weekly. Why should English majors like me have taken your economics class? I was targeting people from sciences, engineering, math. Humanities majors would benefit, as well. [The benefit for non-econ majors] is twofold: On the one hand, they’re going to learn about what happened in 2008. And they’re going to learn that it’s not a once-in-a-lifetime event. These events happen pretty frequently since the 17th century. They’re going to learn about the mechanisms through which those events occur, and why do they occur. Why there’s a crash. You learn more about the financial crisis and what happened in the markets, what went “wrong” in the financial markets, and you learn how economists think and make sense of the world. And that is going to help you when you read news about what are the implications of the deficit law that passed in Congress recently, and what were the two sides arguing about. It is not a partisan fight; there are intellectual disagreements among the parties. And you are going to learn about those intellectual foundations. It is 50 percent economic history, 25 percent economic theory and 25 percent intellectual history, so it’s a combination of all those things. There’s a very strong history emphasis; it’s not a technical course at all. There’s not a single equation in the whole course, or a single graph. How do you rate Congress’ decision to attack the deficit? It was awful. It was absolutely awful. And it seems that it’s going to get worse. We are getting into the woods, because they are talking about balanced-budget amendments, which is the worst idea they can think of today. Suppose you have a balanced budget, and the economy goes into a recession. What’s going to happen to the tax base? It’s going to shrink. As the tax base shrinks, what do you think the government has to do if there is a balanced budget? If they cut spending or raise revenue by raising taxes, what’s going to happen to the demand in the economy? Decline. And what’s going to happen to the recession? It’ll get worse. It is destabilizing. A balanced-budget amendment destabilizes the economy. The problem we have is lack of effective demand in the economy. Consumers stopped spending, so to speak. At this point, what we need is expansionary fiscal policy. The president and Congress are moving in the opposite direction. They’re contracting demand. And that has something to do with the [Aug. 4] collapse. Think about it this way. You spend a greater percentage of your income than a rich man does. That is why, if you want to stimulate the economy, you should be given the tax breaks. That is why it was important for the payroll tax relief to be continued, and it’s not going to be continued. You’re going to get hurt. Whereas the tax relief given to the wealthy, that doesn’t help a whole lot, because it’s not as expansionary. They spend a smaller percentage of their income. So, can an average Joe still make money in the financial markets? You can enter financial markets very easily now compared to what you could have done 30 years ago. You can buy zillions of different kinds of mutual funds just by filling out a one-page form. As a small investor, you cannot participate in buying mortgage bonds that were yielding very high returns at one point. But what you can do is invest in a mutual fund, which in turn invests in these things, and you get your share. You are never going to invest in a big hedge fund, because you need $10 million bucks to enter that. But those are big fish; you don’t want to swim with them, anyway. Not only are they big fish, but they are capable of taking bigger risks than you are. But the financial market gives you the opportunity to participate in higher-risk ventures in return for higher expected returns. Financial markets help you do that. What I just told you, you can turn it around again. As a small investor, you can participate in the markets. You may end up earning a bit as well, at the end of the story. But in periods of high turbulence, where markets are very volatile, it usually is the case that the small investor will lose. The smart money knows better than you when to leave and when to enter the markets. So they may be making money at your expense. So is it an opportunity or a risk? That’s a decision that you need to make. Why did you study economics? I thought economics explained everything under the sun when I was young and naive. It still explains a lot—not everything, but a lot. It’s always exciting to teach macroeconomics. I just follow the news; it never ends. In English departments, there are different ways of reading the same text, which can be exciting in its own way, I’m sure. And then again, if you look at economics, you see the same story being played over and over again as well, in the case of crises. In 1936, the United States was moving out of the Depression, and guess what Congress decided to do? They decided to balance the budget, and that triggered another downturn in economic activity. And that is what’s happening today. So we are reading the same text. World War II saved the American economy. Why aren’t the current wars fixing this crisis? I wouldn’t advocate starting a war to get us out of this. There are infinitely better ways of spending. These are very small wars. Think about [how] during the second World War, there was a labor shortage, which was sufficient to pull women into the labor force in masses. It was a huge labor shortage. We had millions of people in the military at the time. The scale of wars is much smaller. It’s a false comparison. In the scale of things, how bad is the current recession? In terms of the change in the value of stocks, I cannot recall the numbers off the top of my head, but this threatened to be the new Great Depression. That did not happen, thanks to the actions of the Federal Reserve, which were right in some ways and misguided in others. The TARP (Troubled Asset Relief Program) and other measures they put in place, that was right to do because they had to stop the hemorrhaging immediately. But they did not get anything in return. Adequate regulations were not put in place, which is a problem, because all the deregulations that brought us to 2008, they are still there. A little regulation is necessary to bring stability to financial markets. The interconnectedness of financial institutions easily can create a domino effect. That is a systemic risk, and something has to be done to reduce systemic risk.